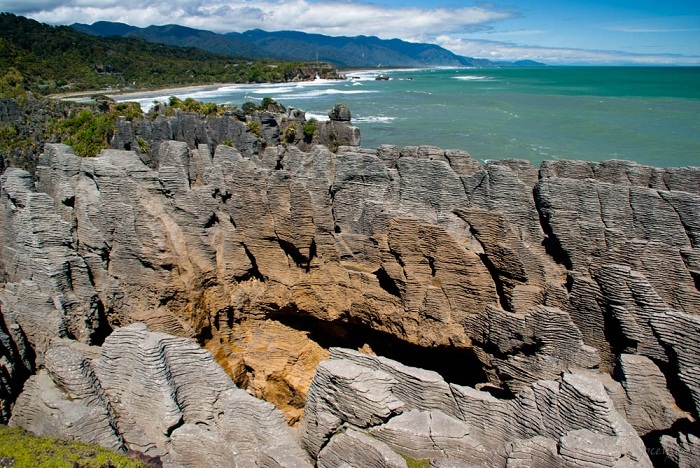 The Pancake Rocks, sometimes referred to as the Pinakaiki Pancake Rock Formation, is a popular geological landscape site which is located in the northern part of the South Island of New Zealand. 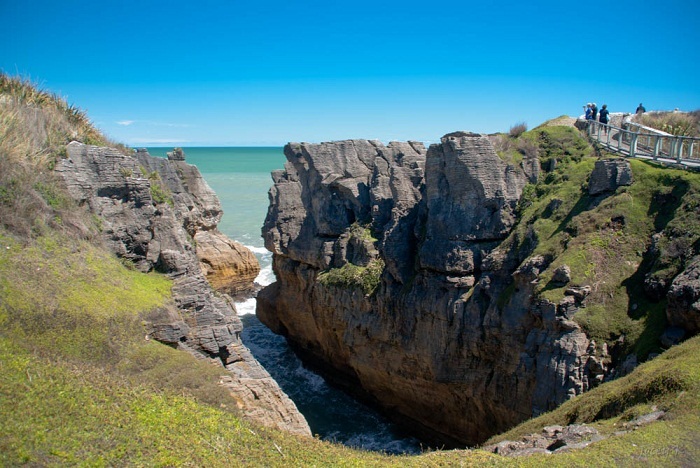 These heavily eroded limestone formations also contain several vertical blowholes which are very impressive during high tides. 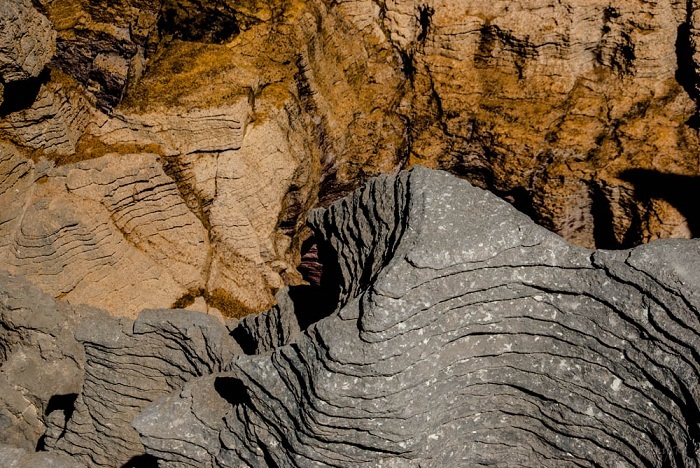 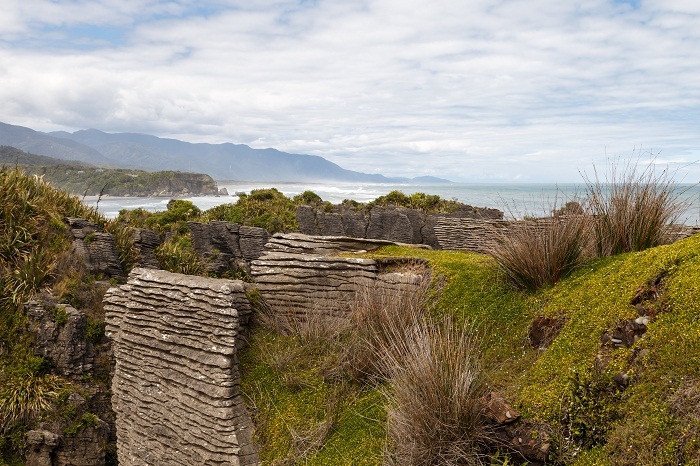 Considered to be one of the most visited attractions on the West Coast of the South Island, it is believed that these ancient formations are some 30 million years old. 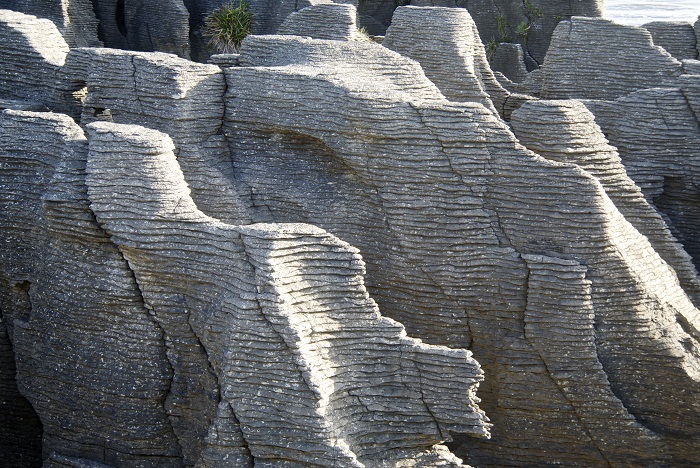 Throughout the centuries, the fragments of the dead marine creatures and plants which were landed on the seabed were solidified by the immense water pressure, and with a gradual seismic action, the solidified rocks were lifted above the sea where a mildly acidic rain, wind and waves shaped the formation to what we are able to see today. 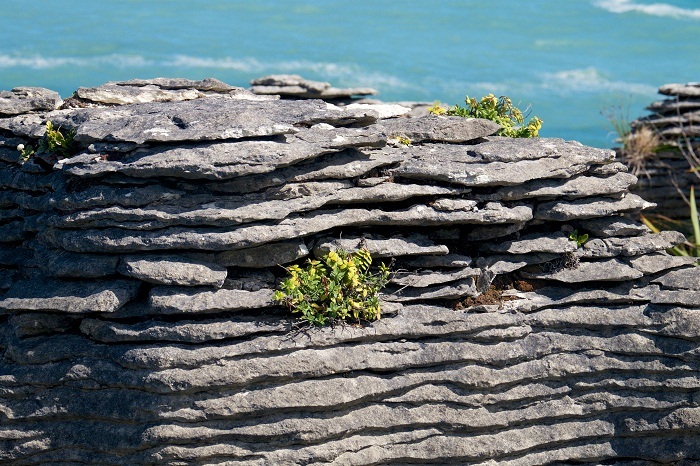 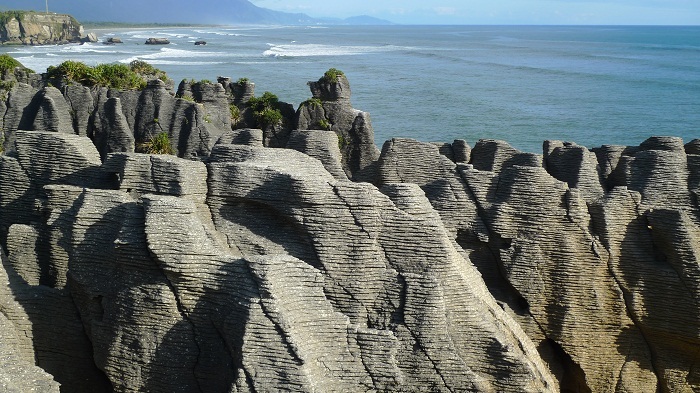 Still, the Pancake Rocks are also the starting point of the exploration of the Paparoa National Park which attracts a great number of people. 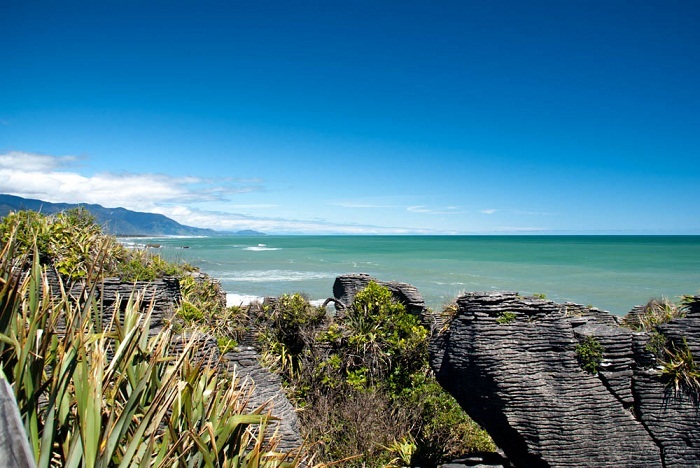 Being able to spot the different “pancakes”, the entire track that encircles the area requires up to 45 minutes walk in order to see the magnificent natural creation, that is of course if you’d like to gaze as long as possible in the fascinating nature from New Zealand. 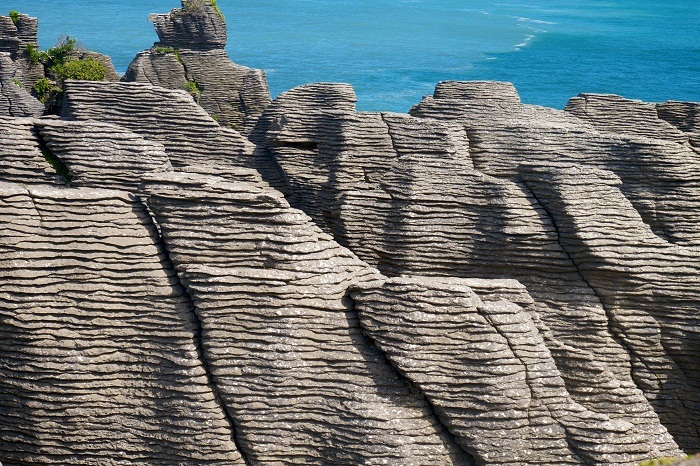 Nevertheless, being the point where subtropical and cool climate trees overlap, nikau palms, northern rata and cabbage trees give every visitor a unique Pacific feeling that can not be recreated in another places. 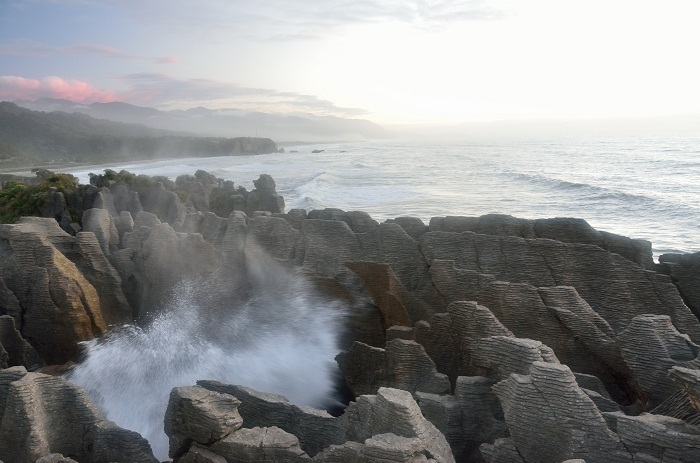 All in all, a true universal treasure which deserves to be put on everyone’s list of must-visit places in the world.